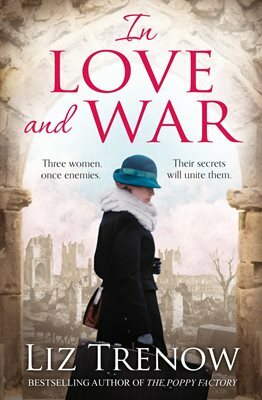 The three women in Liz Trenow’s In Love and War may have very different backgrounds, but they are united in their search for reconciliation: to resolve themselves to what the war took from them, but also to what life might still promise for the future . . .
Today on the blog I am featuring an exclusive extract from Liz Trenow's newest offering - 'In Love And War', published by Pan Macmillan January 25th, 2018. Thank you to Alice and Grace from Pan Macmillan for sending me a copy - review to follow shortly! I really enjoyed Liz's previous book, 'The Silk Weaver', and can't wait to share my thoughts with you as she tackles another era of historical fiction. Such a weight of sorrow seemed freighted between the scuffed and torn pages of the Talbot House visitors’ books: the script of shaky hands, the smudges of ink, mud stains and smells of wood smoke, sweat and old tea leaves. What had happened to all these young men? Had any of them survived and, if so, were they injured, struggling to make sense of life after war? Where were they now? After Alice left for the post office Ruby turned back to scan, without any particular expectation, the columns of names, dates, ranks and regiments. She studied especially the half dozen names she found from Bertie’s regiment. None were familiar, but might they have known him? Were they perhaps together at Talbot House with him? Did they witness his final hours? 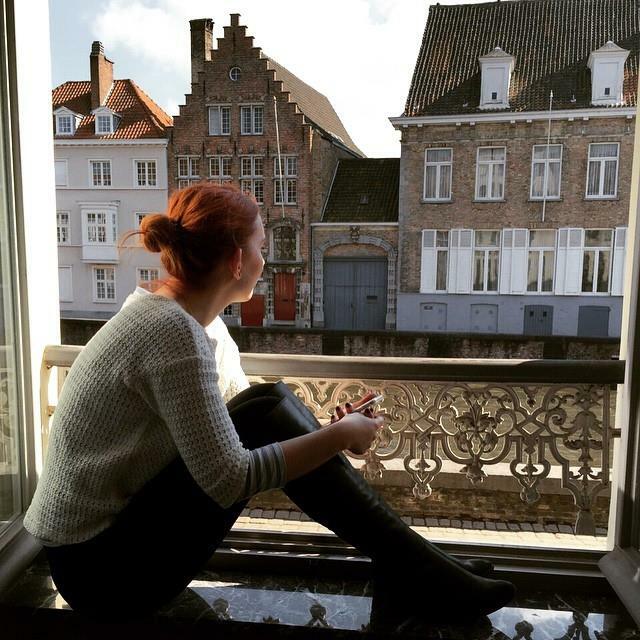 What saddened her most were the comments of strained jollity, belying the terror the men must surely have felt at the prospect of returning to those terrifying battlefields. Back to beat up the Boche once again, one wrote. May he go to hell in a hand cart. Some made her smile: This farce promises to be a great success and a long run is expected. Others made her want to cry: While I have the strength I will fight to save my country, or: If I go to heaven, let it be like Talbot House. She reached the final page of the final book and the last entry dated 11th November 1918 in the chaplain’s bold, open-looped hand: It is over at last. Pray God we never forget all those who suffered and died. P. Clayton. She shook her head, too choked to speak. Tubby took out a large white handkerchief and gave it to her. Somehow just being in his presence was comforting, and his calm, patient listening seemed to unlock some¬thing. The words began to tumble out in a stream. She stopped, embarrassed, fearing that she’d said too much. Any moment now he would ask her what there was to forgive, and she would have to confess her shameful secret. But all he did was take her hand and sit quietly beside her, waiting for the storm to pass. She looked up into his face, hungry for the balm of his words. Purchase 'In Love And War' here. 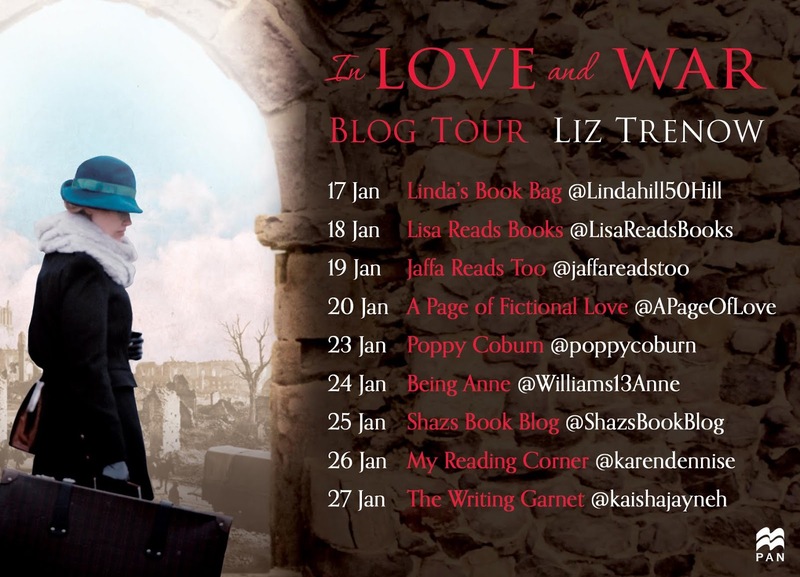 Want to keep up to date with the other stops on the blog tour? I've only read the author's The Poppy Factory and The Silk Weaver (and they were amazing) and this extract sounds awesome.